Here’s something you won’t have been expecting to read. 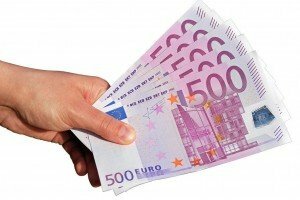 A €2,500 grant could end up being bad for your business. That’s the level of support available through the Trading Online Voucher Scheme (the ‘Innovation Vouchers’) administered by the country’s Local Enterprise Offices. It comes on a matching funding basis for small business owners who want to build an e-commerce website, or rebuild an existing one. Basically, the scheme makes it twice as easy for these business owners to find budgets up to €5,000 to get these sites built. It’s a great idea in theory, and it has worked well for many. But there are pitfalls too, and you should be aware of them to ensure that any grant you get turns out to be good for your company, not bad – or even if you should apply for a grant at all. In one case we’ve come across, a business owner was depending upon a Trading Online Voucher to have a website built, and was told there was one on the way – by the end of August. It didn’t come through, and when he queried why, he was told he would have it by the end of September instead. Then it was pushed out to the end of October, and now it’s late November and he still doesn’t have it. That means he has already missed out on Christmas trade and it’s doubtful whether he’ll be ready for Spring trade either, which is another busy time in his field. That’s bad for business. As website design companies know that small business owners are now more likely to spend around €5,000 on a site, typical quotations are more and more around that figure, no matter what the nature of the website itself. That’s a double-edged sword. At one end, you could be grossly overcharged for a website that could be built for a much lower figure. That means you’d be spending more of your own money unnecessarily. That’s bad for business. The other side of that double-edged sword means that while your web design quote might be for €5,000, the real price could be much higher. We know of another case where a small business owner wanted an e-commerce site developed, and opted for a company who quoted her €5,000. It was only afterwards that she learned the €5,000 didn’t actually cover the cost of adding products to the site. She had almost 300 products on offer and the company wanted €50 to add each one – that meant an extra bill of almost €15,000. This business owner had rejected as too expensive an ‘all-in’ quote of €12,000 from another website design company. But by instead choosing a company that had too much of an eye on her Trading Online Voucher, she ended up paying much more in the end. Such unnecessary and avoidable extra costs are never good. They’re bad for business. Other website design companies may start off with the best of intentions as they quote you €5,000 or less, but then later find they are running out of time and resources allocated to the build. The result is they scrimp on the end stages of your website build and don’t perform all of the end SEO work necessary to get your site ranked and in view of your potential customers. You’re left with a website that does nothing for you. That’s bad for business. A condition of the Trading Online Voucher scheme is that vouchers can be used for e-commerce sites only – not brochure sites. But an e-commerce site (i.e. where products are listed, priced, and available to order online) may not be right for you. We recently encountered a small business owner whose unique selling point was her many years of experience, expertise, and supreme customer after-sales support on a particular range of products. But competitors with lower overheads, less knowledge, and no support are selling those same products cheaper. The effect of an e-commerce site for that business would be for people to see the prices listed, decide they could buy cheaper elsewhere, and move on. But an e-commerce site was the only option available under the Trading Online Voucher scheme. This means that an Online Trading Voucher would be bad for business. We advise that any small business owner making an application to the Online Trading Voucher scheme carefully consider these potential pitfalls, and make sure that the quotes they receive will deliver what they want and what’s right for their business. We have dealt with several small business owners in recent months who have been amazed at the level of detail we sought before giving them a quote. They told us that others they contacted took just a few brief details before giving them a price – that always ‘just happened’ to be around €5,000. Our view is that the Trading Online Voucher scheme can be of great benefit to some – but it’s not the answer for all. It could turn out that spending €3,000 of your own money and forsaking the voucher scheme – instead of spending €2,500 of your own and a further €2,500 grant – would better deliver your business a web design appropriate to its needs, when it needs it, and more likely to deliver results. That would be good for business – and that’s what we want to help you achieve. For a detailed web design quotation process and an honest appraisal of how your company can benefit from a new website design or a re-build of an existing one, contact us today.